Logitech® Spotlight™ sets a whole new standard in presentation control. The on-screen cursor can be used to play and pause videos, open links, show proprietary corporate content, and enjoy a range of other rich content interaction. No need to break the flow of a business presentation or go near a mouse or laptop. With Spotlight, both the presentation and the company comes shining through. Pair Spotlight with its powerful app to set time alerts, toggle pointer mode, and customize actions. Configure the back button to go to a blank screen, or to activate gesture-commanded volume control, scrolling, and more. The software can be installed remotely and silently for multiple users.Download the software in .exe format and use deployment tools such as SCCM to install it remotely. Specific command lines allow for silent installation and to disable automatic updates.Learn more in the software installation guide for macOS Windows. Sleek, portable, and wireless, Spotlight travels from home office to headquarters to center stage without a glitch. 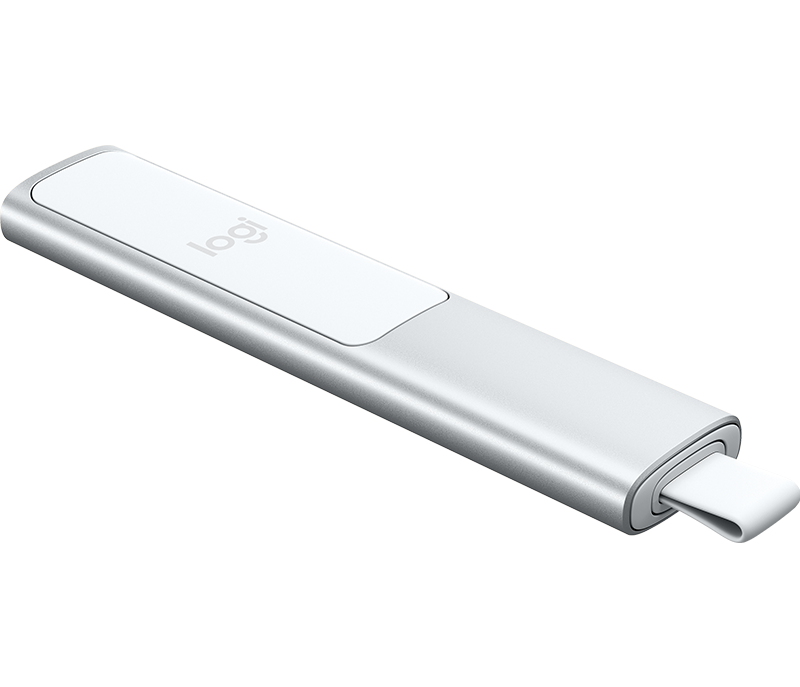 Connect to a computer via USB receiver or low energy Bluetooth®. Switch seamlessly between the two by plugging or unplugging the receiver. A discreet and convenient dock built into the base of the actual remote stores the USB receiver when not in use. "Spotlight is the preferred presentation remote of TED and the Spotlight Presentation Academy at TED." 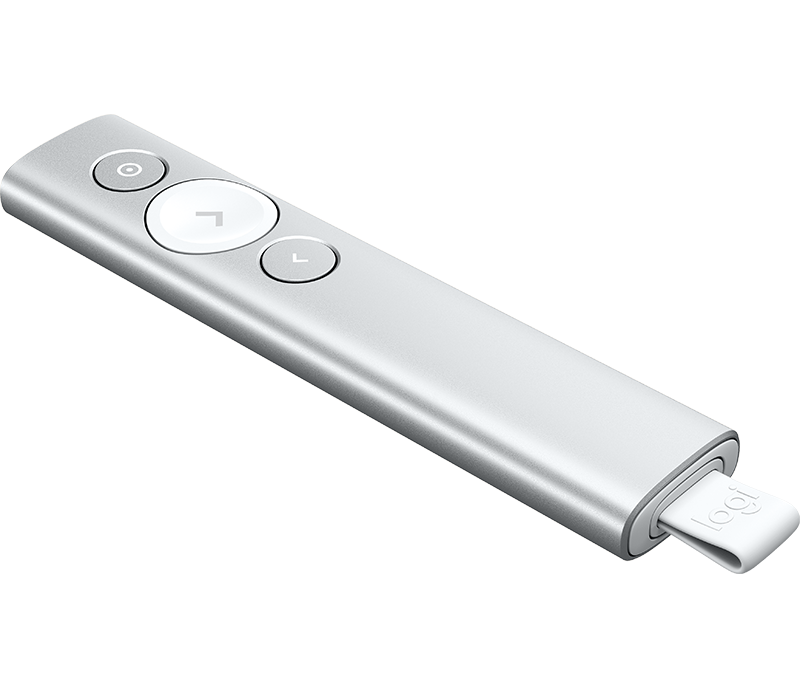 "Spotlight Presentation Remote was awarded a 2017 RedDot Product Design Award"
Enabled via Logitech Presentation App.